Connecting you to the latest training, service information and IT updates for SMU. 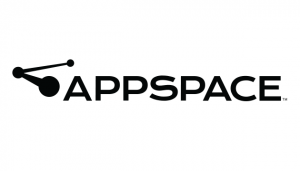 We have begun working with Appspace to migrate sign content to the cloud. Any updates to your digital sign(s) after Noon on November 7, 2018, will not appear on the cloud version and will need to be redone after the migration is complete. As many of you are well aware, the license for our Appspace digital signage expires at the end of this month. In reviewing the usage of digital signage on campus and the expense of support and maintaining the on-premises server, it was decided that moving to Appspace’s cloud environment would be not only more cost-effective but also provide more benefits to the campus, such as our digital signage environment being always up-to-date with the latest features and not requiring Adobe Flash. We have received an extension to our on-premise Appspace to allow time for the move.